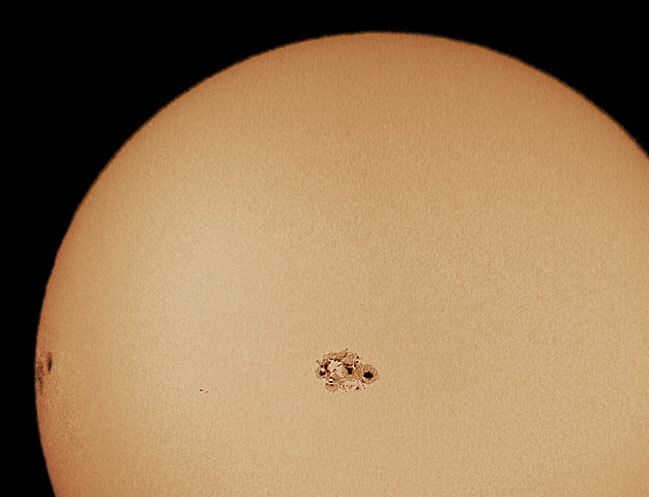 Explanation: Two unusually large sunspot groups are now crossing the face of the Sun. Each group, roughly the size of Jupiter, is unusual not only for its size but because it is appearing over three years after solar maximum, the peak of solar surface activity. Sunspot group 10484 appears near the image center, while sunspot group 10486 is just coming over the left limb of the Sun. The active region associated with Sunspot 484 (the shorter nickname) has already jettisoned a large coronal mass ejection (CME) of particles out into the Solar System. When striking Earth, radiation of this sort has the power to interrupt normal satellite operations while simultaneously providing beautiful auroras. 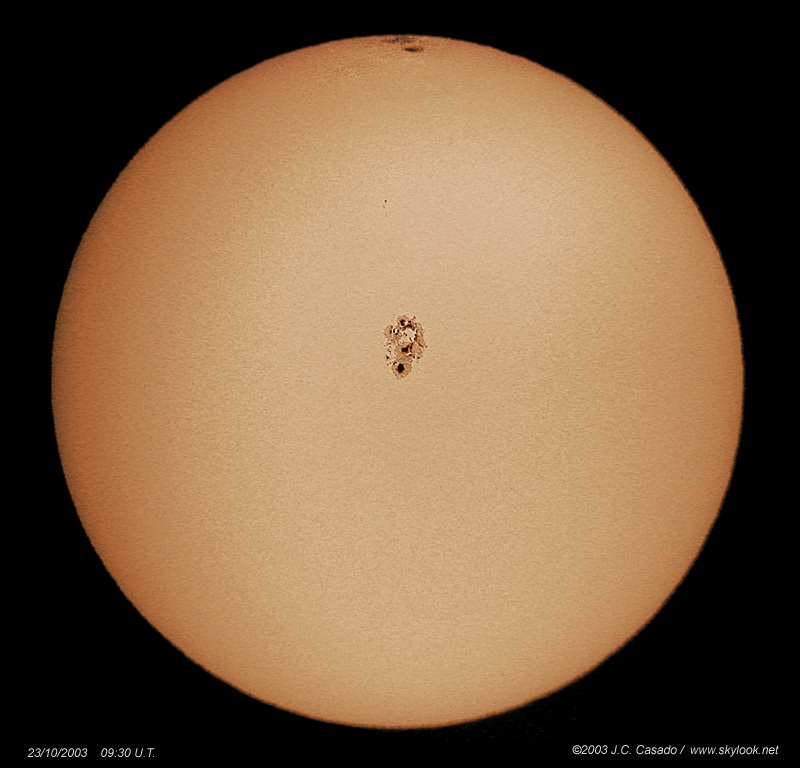 Rotating with the Sun, sunspots 484 and 486 will take about 30 days to make one complete circle, slowly evolving in size and shape during this time. After using extreme care never to look directly at the Sun, the above image was created by holding a digital camera up to a small telescope.